The Titan exhaust system guarantees an unmistakeable, uncompromisingly sharp motorsport sound. The driver can choose from three different modes using the motorsport button: The Sport and Sport+ modes create an impressive, forceful sound, while the Efficient mode provides a sporty intensity still suitable for everyday driving. The optimised exhaust system enhances the classic sound of the 6-cylinder bi-turbo engine, creating an even more dynamic driving experience. 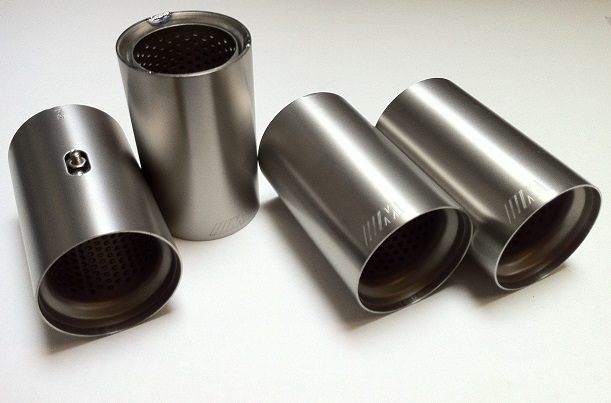 The silencer is made of motorsport-ready titanium. 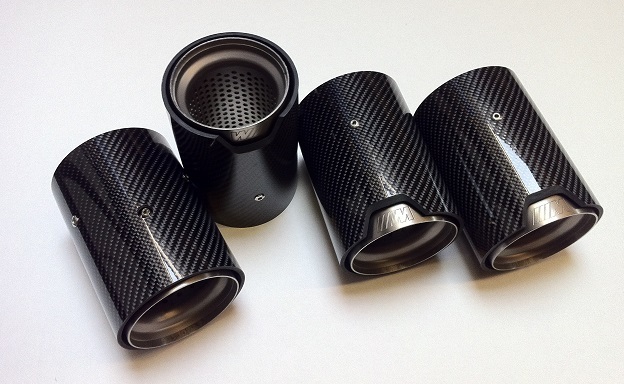 A unique visual highlight for the exhaust system: the sophisticated tailpipe trim, available in titanium or carbon fibre. Featuring the BMW M logo. 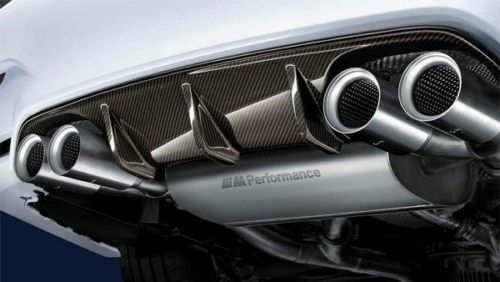 The M Performance silencer system gives the rear of the vehicle a distinctive and individual look. 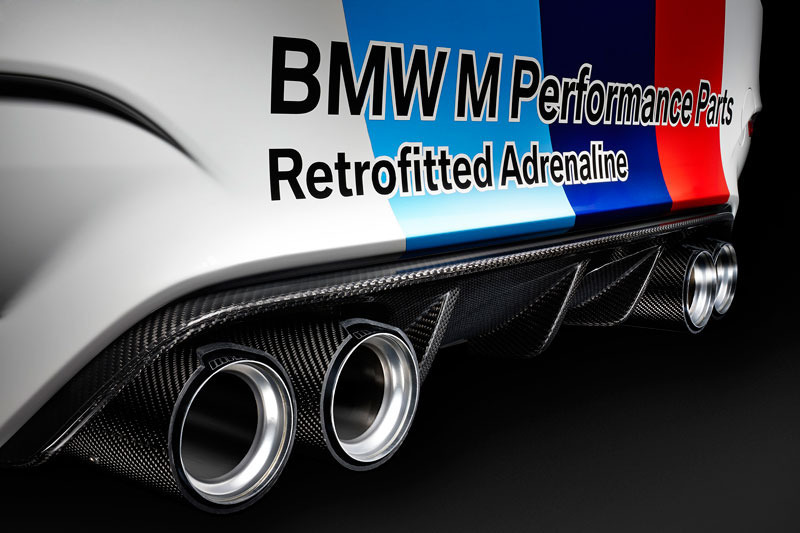 The perforated inner pipes shows an excellent high-tech, sportiness and highlights the individual characteristics of the BMW M Series. High-quality alternatives. You can choose between tailpipes made ​​of titanium or carbon fibre to make the vehicle even more individual and special than it already is. Sport and Sport + Mode: extreme emotional sound, very athletic, very loud to give the maximum performance. Optimised exhaust system enhances the already characterful 6 cylinder bi-turbo sound for a sporty driving experience. The exhaust system consists of a high-quality mix of materials, in which the preliminary tubes are made ​​of a lightweight steel and the silencer is made ​​entirely with titanium. Lightweight: the silencer system is 32% (8 kg) lighter than the stock. The exhaust system has been designed with the latest CAD and FEM technology, to ensures an optimal fit and the highest quality are achieved. Easy installation: The exhaust system can be easily installed by bolting with the clamps provided. Welding is not necessary.